Written by Georg Holzmann on Feb. 1, 2016 in Audio, News. Once in a while it is necessary to convert big audio or video archives to new formats and metadata conventions, other servers, new loudness targets or apply some audio processing/restoration algorithms. Now we offer a managed processing of archives to companies and institutions, where we adapt our algorithms and workflows to special requirements of our clients, implement all steps (no need to program the Auphonic API yourself) and perform the whole process on dedicated hardware to speed-up the conversion. 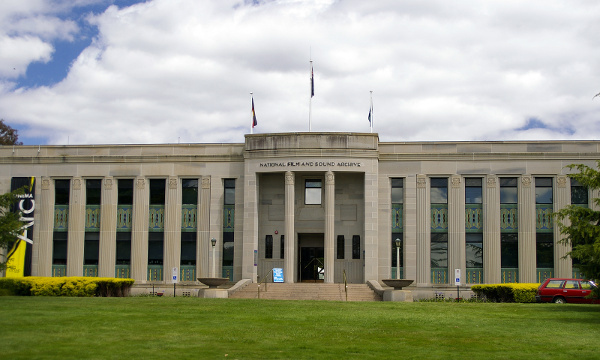 National Film and Sound Archive in Canberra, Australian Capital Territory. Input files are take from your servers or any other external service. All files can be processed with our Audio Algorithms and custom parameters: Loudness Normalization (EBU & ATSC standards, Mobile and custom targets), Adaptive Leveler, Audio Restoration Algorithms (Noise, Hum Reduction, Filtering, etc. ), Multitrack Algorithms, etc. Additional algorithms are developed on request. Encode your files in multiple formats (MP3, Opus, AAC/MP4, Ogg Vorbis, WAV, FLAC, Video, ...) or at various bitrates. Create a custom Metadata Mapping from your input to all output file formats. We can also add Chapter Markers to all supported output formats, taken from various input sources. YouTube, SoundCloud, Amazon S3, Archive.org, Libsyn, Dropbox, Google Drive, Blubrry, Spreaker, etc. archives with thousands of hours might process several months on a desktop computer. We are happy to work on all audio/video archives, collections or datasets, which are too big to be processed manually. Please tell us the size of your archive and the algorithms/adaptations you need, or an Auphonic Preset you want to use. Then we can estimate costs and processing time according to your requirements. We are happy to test the setup on a subset of your files, before processing the whole archive. Please contact us at: info@auphonic.com! Auphonic Audio Processing Web API Version 1 released!